How to Wash Hair in a Glass of Water? One day at the anchor in the Bahamas. Living aboard differs from land life in many ways. But the most important thing is water, what is for us sailors, priceless. It is not unlimited and we need to save it. 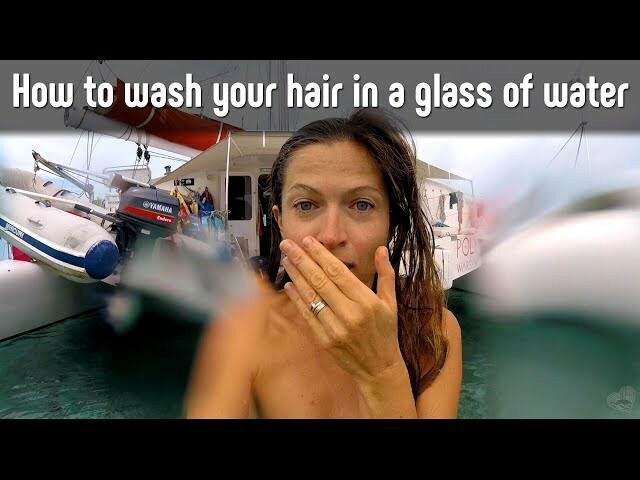 In the video I show you how I normally deal with typical woman issues such as washing my hair 🙂 As an extra please enjoy some footage from David Coperfield Island – Musha Cay in the Bahamas. Check this out!